HCFF Announces New Detroit Office! 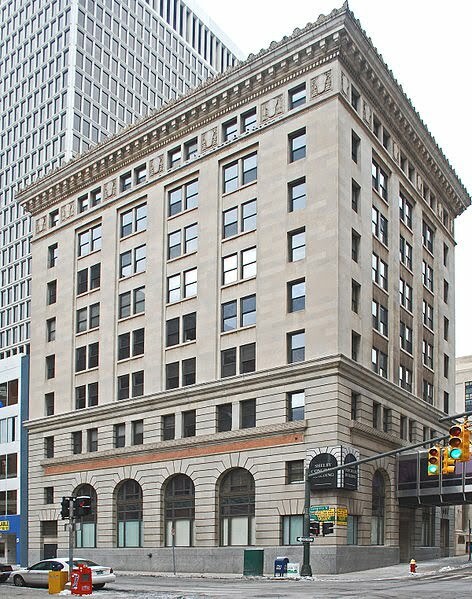 The Detroit office of Hickey, Cianciolo, Fishman & Finn, PC has moved to 607 Shelby Street, Suite 550, Detroit, MI. If you are familiar with the location of our prior office on Fort Street, you'll be happy to know that our new office is just around the block and we are utilizing the same parking structure as before, the Fort/Washington Garage. We look forward to seeing you at our new office! To make an appointment, please call (313) 962-4600. Partnership for Dads, a Michigan nonprofit organization that was founded in 2003 and that works with existing institutions to help fathers become more involved parents, is spoonsoring its 11th Annual Fathers Conference on Saturday, January 29, 2011. The conference is entitled, "Dads Helping Dads Navigate Life." The Conference will take place from 8:00 a.m. to 3:00 p.m. at the Oakland Schools Building in Waterford, Michigan (near the Oakland County Courthouse Complex). The Conference costs $29 in advance or $40 at the door. The registration includes a continental breakfast and lunch. You may register online, by phone, by fax, by mail, or in person. More information about the conference may be found at the Partnership for Dads website located at partnershipfordads.org. What to do with the engagement ring when the engagement is called off? So, a couple goes from being happily engaged to not-so-happily un-engaged. What happens to the ring? It doesn't matter who is at fault... if there is no wedding, the ring goes back! Prominent Michigan family law attorney Carole L. Chiamp, who is of counsel to our firm, is a family law court-approved mediator. She is among the first attorneys in Michigan to obtain this designation. She currently authors a monthly article in the Michigan Family Law Journal entitled "Mediation Matters." Carole's January/February 2011 article focuses on the potential costs one faces in the event of divorce. How many times has a client asked you how much a divorce will cost? You’ve only been able to say that it depends on many factors, not the least of which is how acrimonious it will be. The old saying goes something like it’s cheap to get married but expensive to get divorced. In an effort to find the financial cost of divorce and any differences in cost of the various ways to obtain a divorce I did a good bit of research for this article and found very few reliable statistics. What I was able to find fell into loosely defined categories. Do-It-Yourself Divorce (DIY). Most research tended to find that the cost of doing it without an attorney is the lowest approximately $750-1,000. This may work for childless, low asset, no retirement plan divorces. Mediation. The cost of mediation is significantly less than any alternatives except DIY. Mediation focuses on cooperation and full disclosure. Each party is encouraged to at least consult with their own attorney. However, attorneys’ roles are sometimes more limited as compared with litigation. The costs bandied about in various articles range from $5,000-10,000 as a minimum. Some articles cite a recent study done by the Boston Law Collaborative, LLC, a law firm which analyzed 199 of its recent divorce cases, and found that mediation, collaborative divorce and litigation all produced high rates of successful settlement. Mediation was by far the least expensive option with an average $6,600 cost. Collaborative Divorce. Collaborative divorce is one in which the parties often have a divorce coach, an attorney, a collaborative mediator and joint experts, and further agree to cooperate in discovery and to give up their attorneys and obtain new ones should they decide to litigate1. The Boston Law Collaborative, LLC found the average cost to be $19,723 for a collaborative divorce. Negotiated Settlements. These settlements worked out by rival attorneys for their clients resulted in an average cost of $26,830. Full Scale Litigation. It won’t surprise anyone that the seriously adversarial type of litigation is the most expensive. One writer claims “The War of the Roses” is so yesterday. Divorced best friends is so 21st Century”2. Without appeals, the average cost was found to be $77,746 by Boston Law Collaborative, LLC. Even a two day trial can result in a $25,000 price tag for each litigant. In researching this subject, an interesting attempt at quantifying the costs involved in divorce was found in an article at http://www.divorcemagazine.com/ listing the hours expended on motions, pretrials and various other hours of litigation multiplied by an average hourly rate for each step in the process3. The author adds costs in the same manner for experts. He claims to have done this, based on informal discussions with attorneys over the years. Using those statistics, http://www.divorce360.com/ estimates it could cost anywhere from a low-end of $53,000 to a high-end of $188,000 to divorce. The costs include attorneys’ fees, financial help and real estate costs for selling, buying or renting a home once you’ve made the decision to divorce. The costs can be significantly less, as little as $1,000, if the couple – usually without children or assets – agrees to forego an attorney and use a divorce kit, which costs about $200. The cost increases with filing fees and other court costs. But for a couple with an average income of $60,000 a year, at least one child and a home worth $185,000, the average cost of a divorce using U.S. Census statistics would be about $53,000. The pricetag would include short-term marriage therapy for themselves and about 20 weeks of therapy for their child. It would also include the cost to hire an attorney, sell their home, purchase another at a lower value for one spouse and rent an apartment in the same area for the other. For a couple making $150,000 a year with a home valued at $535,000, the pricetag increases to an average of about $188,000 for ten weeks of therapy for themselves, 20 weeks for their child, hiring an attorney, selling their home, buying a new one and/or renting an apartment in the same area5. Bankrate.com suggests the average cost of a divorce in 2001 was $20,0006. That number was also supported by sociology professor Steven Wock, and law and economics professor Margaret Bring7. They also calculated that $175 billion dollars is spent on divorce, mostly on litigation. According to information provided by a website geared toward divorce and remarriage, divorce is a $31 billion dollar-a-year industry with an average cost of $20,000. This site does not differentiate between mediated, negotiated, litigated or DIY divorce. Of course there are divorces that aren’t average. A recent award of over $600,000 for attorney fees and expert fees in a litigated case was awarded by a Wayne County Circuit Judge and affirmed by the Michigan Supreme Court8. There are also other divorces which cost a mini-fortune, such as Frank and Jamie McCourt of Los Angeles Dodgers’ fame. Attorneys and accountants cost Mr. McCourt $5-10 million dollars, according to a court filing. Jamie McCourt estimated her expenses at $9 million dollars – and asked her estranged husband to pay them9. As for results of the various ways to divorce, a study done by Mary Marcus, PhD. and Walter Marcus showed no statistical differences in outcome10. Probably the best advice we can give our clients about the cost of divorce, whether emotional or financial, is that costs can be reduced if both spouses acknowledge that keeping control over their anger is essential; divorce costs are increased due to destructive attitudes making the process longer in terms of the need for more counseling, more sessions with attorneys and mediators, and other court hearings. 1. The Colorado Bar found giving up one’s attorney to be unethical as it dilutes the attorneys’ undivided loyalty to the client. Colorado Bar Association, Ethical Considerations in the Collaborative Law Contexts, formal opinion 115 (2007). Six months later the American Bar Association Ethics Committee repudiated Colorado Bar Association’s opposition and endorsed collaborative law process as long as both clients were fully informed of its provision. ABA Comm. on Ethics and Professional Responsibility, formal opinion 07-447. 2. Bonnie Erbe, Collaborative Law Could be Society’s Wave of the Future, U.S. News, June 13, 2008. 3. Larry Rich, How Much Does a Divorce Cost?, (accessed January 4, 2011). 4. Divorce360.com Staff, Love is Grand, but When Its Gone, Divorce Can Cost More Than Twenty Grand, (accessed January 4, 2011). 6. Kevin McDonald, The Cost of a Divorce (accessed January 4, 2011). 7. Ismail Ahmed Alhashmi, The Average Cost of The US Divorce (accessed January 4, 2011). 8. Olson v Olson, 472 Mich 922 (2005). 9. Bill Shailain, High Costs of McCourts: $19 million in Fees, Los Angeles Times, March 5, 2010. 10. Mary G. Marcus, Ph.D. and Walter Marcus, Study of Divorce Outcomes, (accessed January 4, 2011).